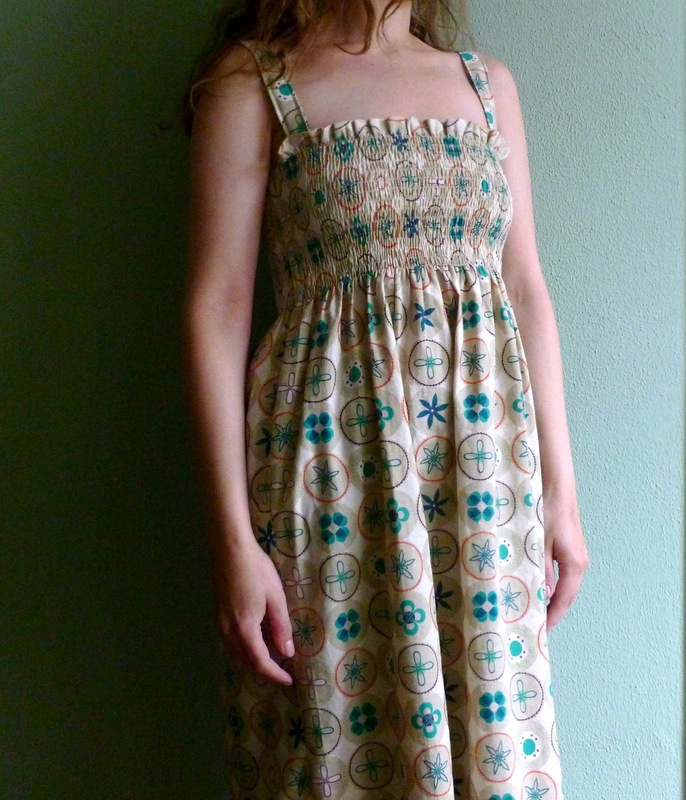 Today I would like to show you how to make a shirred sundress. 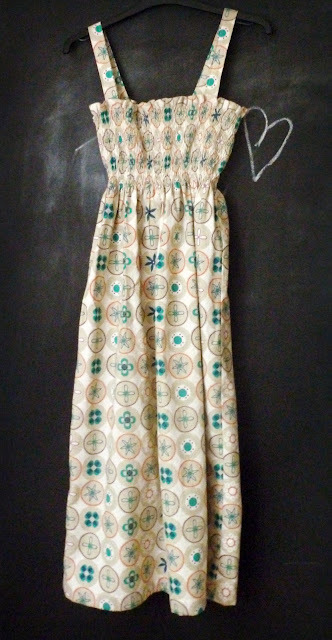 This dress is so simple to make it is perfectly doable even if you are new to dressmaking. It is always a good idea to prewash fabrics when dressmaking. Just wash the fabric as you intend to wash the finished garment, this ensures any fabric bleeding problems or shrinkage has been caught before you finish your dress. * I am using inches for this tutorial but it works exactly the same in centimeters if this is what you are more comfortable with 1" = 2.54 cm. 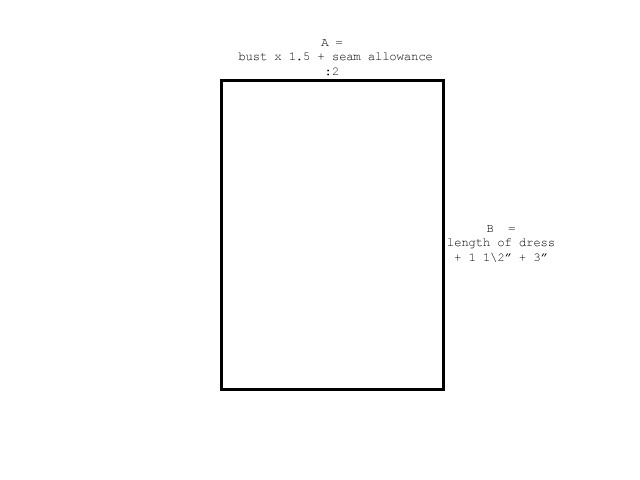 The dress consists of two rectangles, easy peasy no pattern needed all you need to do is determine two measurements. The first thing you need to know is your bust measurement. Wrap a tape measure around the fullest part of your bust, do not pull tight you want some ease there so you still have room to breathe and such ;). Write the number down. Now take your bust measurement, multiply by 1.5 and add seam allowance (any size you are most comfortable with) mine are 3\8" x 2 = 3\4"
34" x 1.5 + 3\4"= 51 3\4"
51 3\4" : 2 = 25 7\8" I am just going to round that up to 26" once the dress is shirred it will not make much difference. Now we have determined measurement A - the width of our rectangle. Next we need to determine the length of the dress. Take a tape measure and measure from the top of your bust down to wherever you would like your dress to hit, don't forget to stand up straight! I am not sure what length I like best yet so I am just going to use the length of my fabric and cut two rectangles 26" wide. It is easy to trim back the length later once the shirred top is finished or leave it long and have a maxi dress. 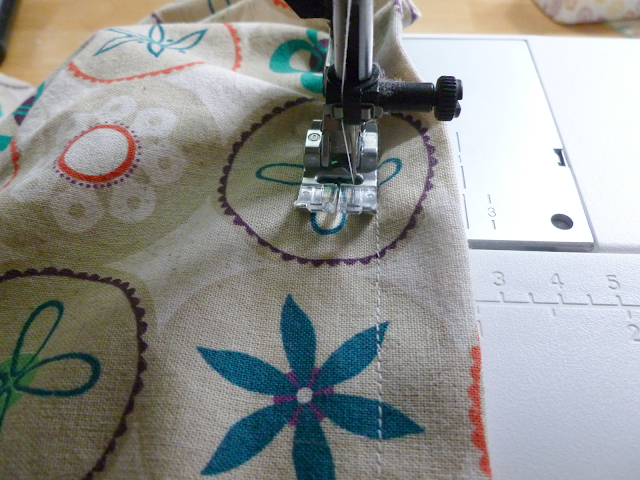 Fold over the top hem by 1\2" twice, press, pin and sew close to the edge. It is important to finish the top hem before you start shirring because once that is done it will be near impossible to get a straight hem. With right sides facing pin side seams and sew. 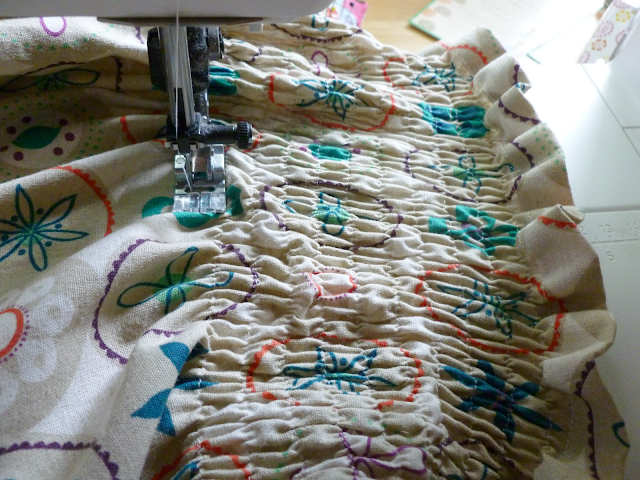 Neaten raw edges with an overlock or zig zag stitch. Fold over the bottom hem twice by 1". Press, pin and sew close to the edge. If you are undecided on the length of your dress like me you can save this step till last. 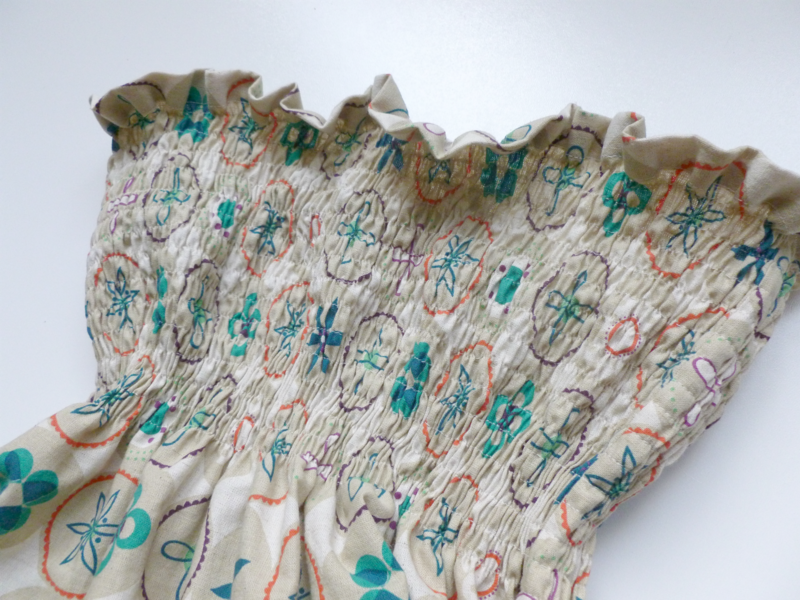 Now for the fun bit, lets transform this shapeless fabric sack into a dress! 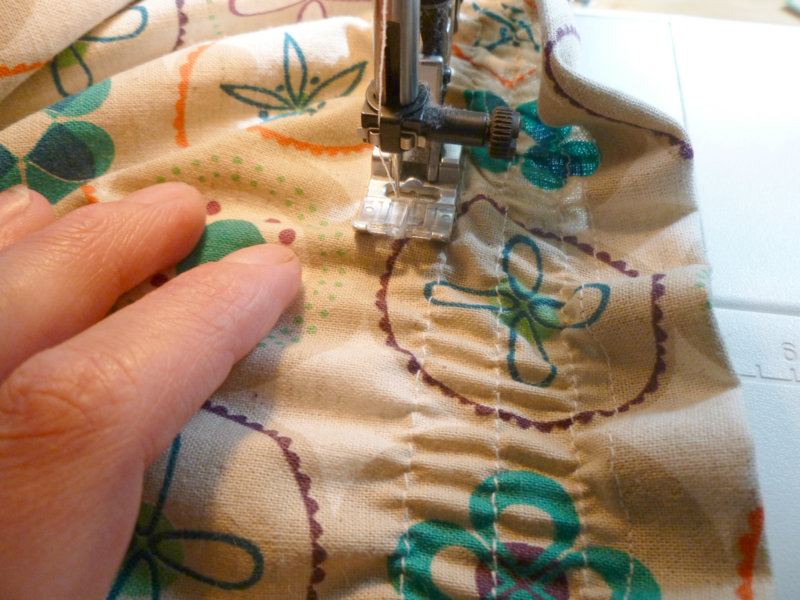 For those of you new to shirring it is nothing more than sewing with elastic in your bobbin case instead of thread. 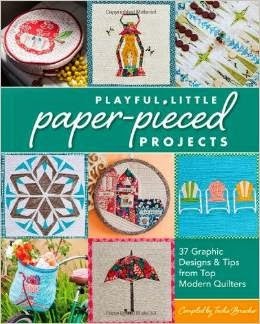 This creates lots of gathering and adds elasticity to your fabric. 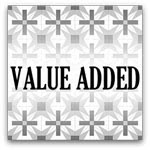 It is a highly useful technique in dressmaking, it adds shape to your garment without the need for closures, I love it! First you will need to wind your bobbins with shirring elastic by hand, do not pull the elastic taut just hold it firmly in your hand and start winding. 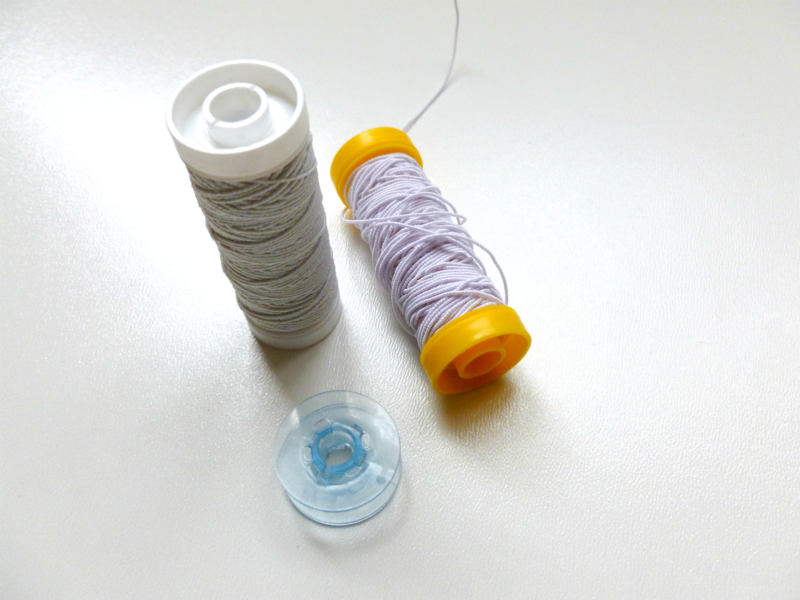 You want to wind up the bobbins so that the elastic sits firmly but without stretching it. Best not to think too much about it, the elastic is thicker than normal thread so it will go quicker than you think. I like to wind a couple in one go, for this dress I needed 3 bobbins to complete the top. Place the bobbin in the bobbin case as usual and pull up the thread. Now you will need to play around with some test fabric first to find which settings work best on your machine. As a rule you will want to lengthen your stitch length, I set mine to 3. You may want to slightly lower your upper thread tension, on some machines you may have to set it slightly higher - on mine it stays the same. 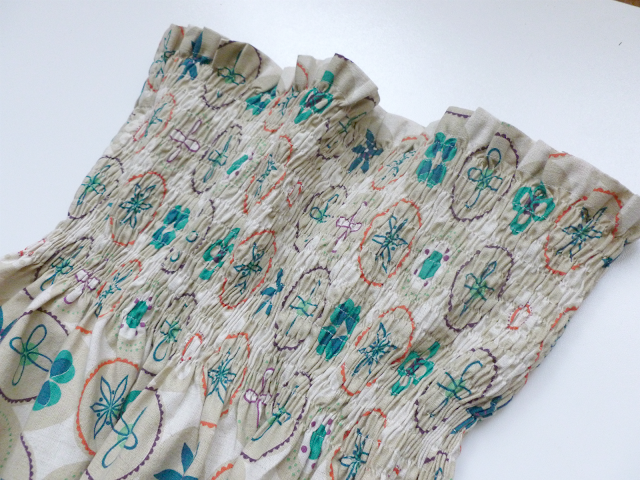 So again, play around with some test fabric to see what works best for you. 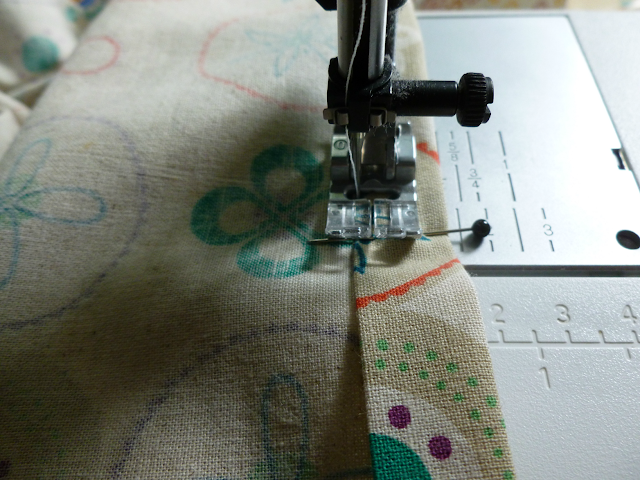 Place your fabric under the presser foot, right side up and start sewing close to the top hem. 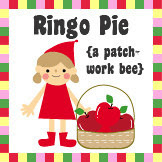 You can back stitch at the beginning and end as usual. 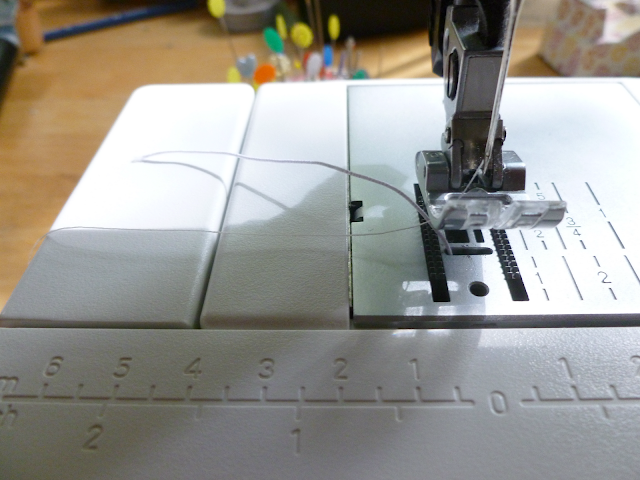 Sew parallel lines next to your first line of shirring, using the edge of your presser foot as a guide. I switched the needle to the far left position. The first line will not bunch up much but as you sew more lines the fabric will start to gather up nicely. Make sure your fabric does not double up and keep guiding it flat under the presser foot, you will need two hands to pull the fabric flat as it starts gathering up more. 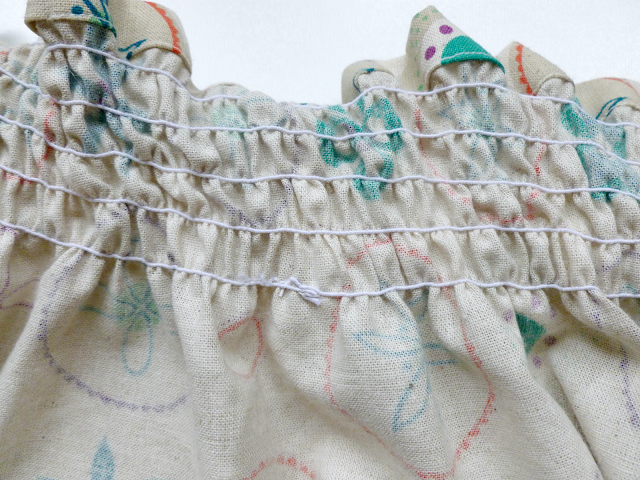 Little mistakes will not matter much they will hardly be noticeable once your dress is done, so do not worry much over a wobbly seam, it will be fine :) If you run out of elastic thread, just back stitch over the bit where you left off and carry on sewing. How many rows of shirring you need depends on your bust size, I needed 15 rows. Try the dress on a few times to determine from which point you like your dress to flare out, it will be a good few inches above your natural waist line. At this point you might be a little worried because especially the top hem will look rather untidy. A good press will take care of this in no time! Give the right side of the fabric a good steam press, this will fully allow the fabric to succumb to your shirring and pull everything nice and tightly together. Strap length, style and width is very much a personal preference. You could easily wear this dress strapless but it also looks great with halterneck style straps or regular shoulder straps. Try your dress on with your favourite bra underneath (if that is how you will be wearing yours of course!) now measure how wide the straps need to be to cover up your bra straps. Measure, or better still get someone else to measure, how long the straps should be and place pins where the straps should be sewn to your dress. I am opting for 1" wide straps. I cut 4" x the length of my straps. 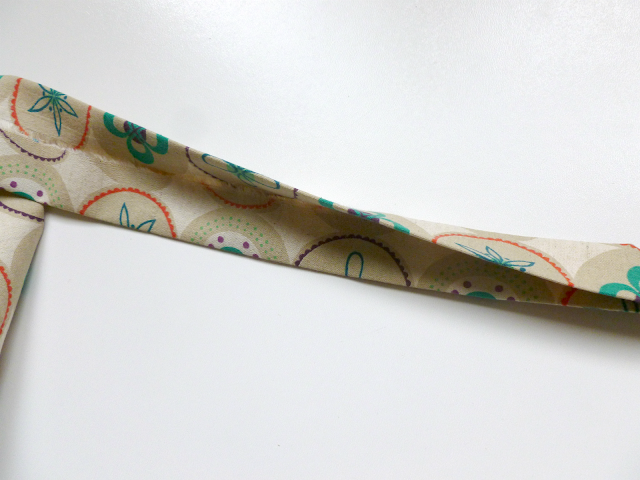 Fold and press the strap in half, then press towards the center to enclose the raw edges, fold in half and press again. Top stitch close to the edge on both sides. If like me you do not have a helper, make straps longer than you will need and pin them to the back of your dress. Put the dress on and pull the straps towards the front. Check if you pinned the back straps correctly, if not adjust. Once the back of the straps are pinned in place properly it is easy to pin the straps in place on the front. Sew the straps on securely and neaten raw edges. Your dress is now done! I hope you enjoyed this tutorial, as always if you make something with one of my tutorials please add photo's to the group pool I love seeing what you come up with! Just with we had the weather to match the sweet dress! Great tutorial! Your dress looks fabulous! fantastic tutorial and what a lovely dress! What a great tute, and dress!! It looks fab on you. I think I'll make one for my daughter. 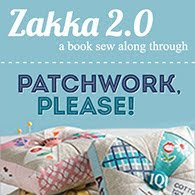 I am looking forward to some fabric 'succumbing to my shirring' (loved that line!). I bought a few spools of elastic thread after reading a shirred top tute two years ago and it is, of course, still curing in my sewing case. Great tutorial! That dress looks fabulous on you ! Ok, you talked me into it. I've been afraid to try garment sewing but I SO love this dress and your tutorial seems amazing! I'm totally going to do it! Gorgeous! I made one using the Heather Ross pattern a few years ago, just need the warm weather to make it worth wearing! Thanks for the clear and simple tutorial. I can't manage to get photo's to upload to flicr, but despite my luddite tendencies I have managed to blog about the dress I made with your help. I think I love the material as much as the pattern!! Beautiful!! Brilliant tutorial, thanks so much! I'm itching to have a go at shirring and I love your comments about little mistakes not mattering - a real confidence booster!